Ascension caregivers, including Ascension Providence, work to improve the health and wellness of people in communities across the nation, paying special attention to neighbors who are struggling. 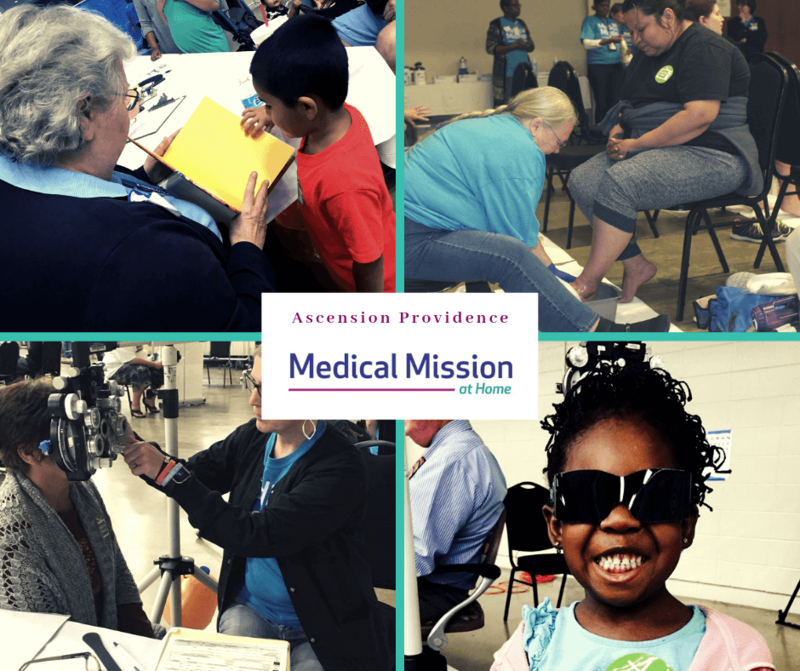 By joining with area community partners and businesses to host a local medical mission, Ascension Providence hopes to meet people where they are for a day of health and healing. Access to affordable healthcare remains a challenge for many. 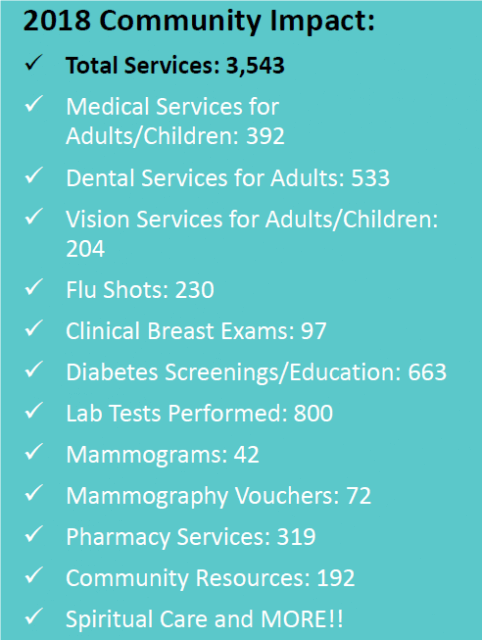 Ascension Medical Mission at Home is part of our national commitment to reach individuals who are uninsured and need access to healthcare services. It’s about more than one day of care—an Ascension Medical Mission at Home helps connect those who struggle medically and/or financially with long-term medical homes and insurance. If your organization is interested making a monetary donation, please click here. For general questions and information about the event, call 254-751-4535. Help bring a day of hope and healing to those within our community.